InSites provided landscape architectural services as part of the design/build team. The recreation center includes a state of the art natatorium with a variety of aquatic recreation and training facilities. The landscape plan sets the stage for an outdoor spray ground and skate park. The complex is part of a larger open space, recreation and multi-school campus. 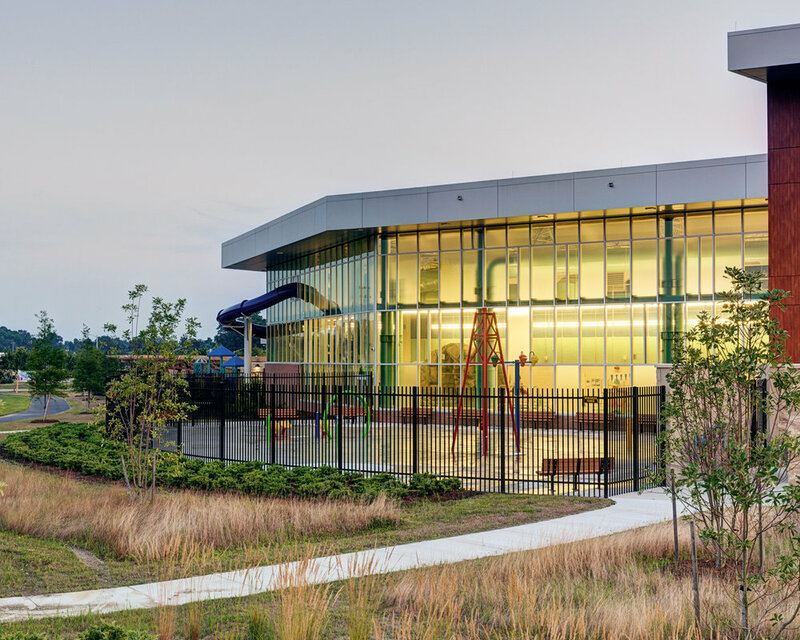 The center is the first natatorium facility to achieve a Silver LEED certification, and was awarded a Virginia Beach Planning Commission Award of Honor.